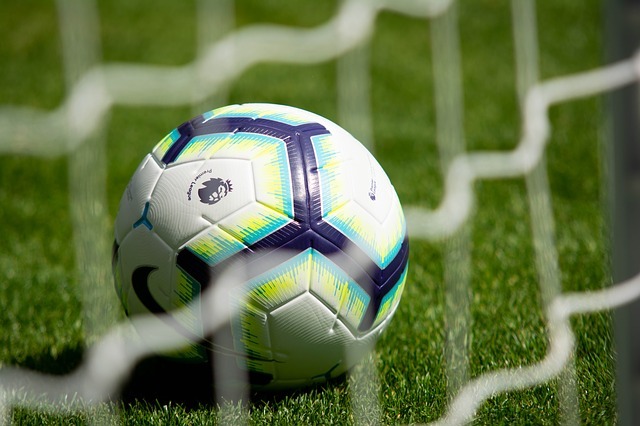 This Sunday in the Premier League, the first set of games back after the International break and the first of the games that will lead up to the end of the season in May, two of the top three teams in the division will clash at Anfield as league leaders Liverpool will host Tottenham in what is a make or break game, particularly for the home team. With second-placed Manchester City facing Fulham at Craven Cottage Saturday lunchtime, Pep Guardiola’s team will be the hot favourites to win that game and return to the top of the table. Liverpool, with an inferior goal difference to City, will therefore be required to beat Spurs in order to go back to the top of the table, albeit having played a game more than City. If you fancy a bet on the Liverpool v Tottenham game on Sunday, which we have previewed below, then head on over to bet365. New customers signing up with the current bet365 New Customer Bonus can receive up to £100 in bet credits once they are up and running on site. With a massive choice of markets, live streaming, in play betting and of course, plenty of great promotions, bet365 is a fantastic place to enjoy many forms of sports betting. Let’s now preview this massive weekend clash by taking a look at the form of both teams. Although they have not been sweeping aside teams majestically like Manchester City, Liverpool have been proving extremely difficult to beat all season long. They have lost just once in the Premier League and their win in Munich over Bayern was perhaps the statement victory that the team has needed to boost their confidence of late. A much needed win over Fulham followed despite a relatively poor performance but there can be no mistake that the Reds will need to play much better at home to Spurs on Sunday. Liverpool have injury worries over right back Trent Alexander-Arnold, with the England man coming back from international duty with a back problem that has, as yet, not cleared up. Joe Gomez however is back in training after a lengthy spell out, but he is still some way from full fitness and will not likely feature for the home side. Alex Oxlade-Chamberlain is still missing having suffered a minor injury in his recovery from a major knee issue suffered last season but he is expected to return to training within a week or so. Tottenham recovered well from their FA Cup defeat to Palace and won their next four games but since then they have only won once, away to Dortmund in the Champions League and have lost three of their last four Premier League games, all of those losses coming on the road. That is a big turnaround in form for Spurs who had previously had the best away record in the Premier League. There’s no doubt Alli and Kane’s injuries didn’t help the side in that time and with both back they will be hoping a return to winning form on the road is more likely. However Anfield is a very tough place to go and Spurs record at the ground over the years is not great. The good news for Spurs is that England duo Harry Kane and Dele Alli came through their time away with England unscathed, but Eric Dier suffered an injury while away with England and is a major doubt for the game. Provided Heung-min Son returns from international duty with South Korea unscathed Spurs should have a pretty much full squad to pick from for the trip to Anfield. Although I think Tottenham will be up for this game and the return of Kane and Alli to full fitness is a huge boost for the Londoners, the home side have been very strong at home of late and with them knowing how Manchester City have done the day before, the atmosphere at Anfield will be electric and that usually benefits the Reds. Liverpool have a good record against Spurs and after last years game saw Spurs awarded two penalties, the second by a controversial VAR decision, the home fans will be desperate for a win to avenge that 2-2 draw and also to keep Manchester City beneath them in the Premier League for the time being. This will be a close one and I can’t see there being too many goals in this game, but I am backing the home side to edge it, perhaps by a single goal. With so much riding on this game, and Anfield expected to be packed, I think Liverpool will be very much up for this game. Sadio Mane, rather than Mo Salah, has been their key man of late and the Senegalese star will likely be the main threat for the Reds again. Spurs though are very strong in attack and I can see them scoring a goal too, even against an impressive Reds back line. However, I think the home side have enough quality to grab a second goal and with it the win.